Portal and Left 4 Dead 2 were recently released on Steam for Linux and I decided to give Portal a shot. First off the install is painless and after starting the game up the game auto-detected my system properly and turned all the setting up to the right levels. The shot I took above was a scaled down version of what I saw on my monitor. The game plays very well and is really awesome because... its Portal :D Its really quite incredible how quickly Valve is porting over their back catalog to Linux and I have found that they all work very well. Have you tried the Portal Linux Beta or the Left 4 Dead 2 Linux Beta yet? I just downloaded Portal. I am using a box that my place of employment awarded to me. It is a totally sweet Dell Optiplex 760. However, it comes with the most basic of Intel Graphics stuff/drivers/widgets. It's as if the Aperture Science Enrichment Center didn't pay their power bill, and I am seeing only the barest of outlines in the dark. I can hear GLaDOS, and I asked her what the best Graphics card would be, and she suggested an Nvidea card, because that company is, as she so aptly put it, "Is Open Source Friendly." So I am thinking the GeForce 9300. Any thoughts out there in CG land? Hmm. Now it works. Not sure what I did, but wow this is cool. Cool to hear that it works pretty well. 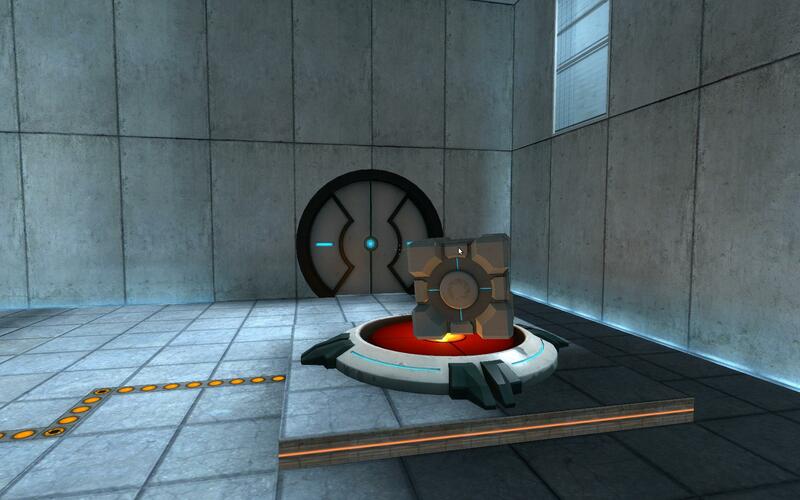 Portal should run on even some of the most basic hardware. NVidia is a good choice, but if you want awesome Open Source support and don't need to play the most bling of the bling, then stick with the Intel card as all the drivers for those cards are in the Linux Kernel directly. That said, NVidia will be the best bang for your buck and they have superb drivers for Linux. Jon, do you know if Starcraft 2 Legacy or Battlechest has stand alone games against the AI ? I know there are many solo campaigns, but I can't see anything on Google about just starting a game against the computer. Yeah Rob you can do that. PLUS it’s going free to play later this month so if you want, you can wait until then to play it for free!